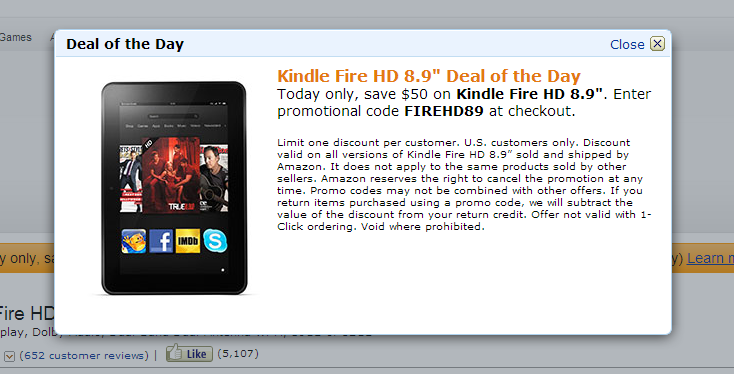 If the Kindle Fire HD was on your holiday shopping list, today would be the day to make that purchase. For a limited time, Amazon is offering a $50 off coupon for all versions of the tablet, which lowers the price from $299 to $249 for the 16GB model and $319 from $369 for 32GB. Not bad at all. The Fire HD features a 1920×1200 HD display, a 1.5GHz dual-core processor, and of course, access to 22 million movies, tv shows, books, songs, etc.